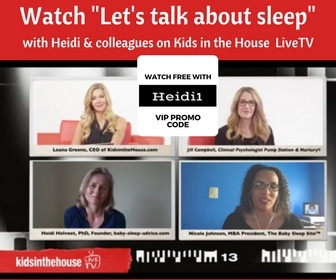 Question: The fear of SIDS has taken most of the joy out of being home with my newborn who is now 3 weeks old. I'm seriously obsessed about it. I cry a lot and I dread nighttime. I'm not getting a lot of sleep. I want to co sleep and am reading your book now. Any more advice you can give would be greatly appreciated. Is there a particular reason that started you worrying? Something that happened, something you read, did the doctors warn you, have you heard of risk factors that you may have? (for example premature, low birth weight, have there been or are there smokers around). 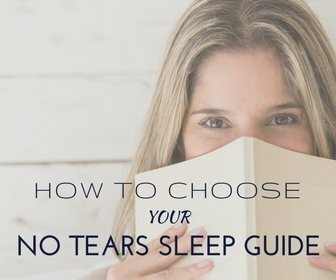 You mention reading my book, I suppose you mean the Complete Newborn Sleep Guide? That will indeed give you good safety guidelines and reassurance for these first weeks, and help you get the best sleep habits set up right away. 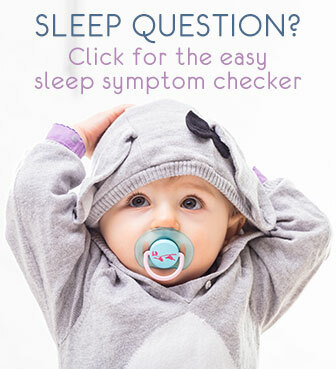 As a reminder to anyone reading this, if your baby has no increased risk of SIDS (full list of risk factors) all you need to do is to ensure his/her sleep environment is safe: sleeping in an empty crib on a firm mattress, no toys, pillows or loose blankets around, not over-dressed, in a cool room and that there is never any smoking around baby (day or night). See complete SIDS prevention guidelines for complete overview. So if no increased risk, and all safety guidelines in place you should be fine. If you still worry, or if there are risk factors that you are concerned about, I strongly advise you to talk with your pediatrician about it. Together you can discuss the risks, possibly the use of a movement monitor, or other help you could use. When thinking about co-sleeping, that can indeed be a good idea as it can offer protection from SIDS. But, and this is important, ONLY if all the safety guidelines are in place. I'm sure you have read this but we can't stress it enough: simply taking baby in bed with you, without any precautions is not safe. Let me suggest you re-read all about co-sleeping safety guidelines here just to be start on the safe side. Please remember that the safety guidelines I mention should not scare you more. On the contrary, once you have all safety checks taken care off, you would be good to relax about it. The easiest-to-be-safe co-sleeping option is a co-sleeper bedside crib. You know, the kind that is attached to the side of your own bed. Baby is close to you (good for natural protection) and still has his/her own space. Some more info about this kind of cribs here . Finally, I think a visit to the doctor/pediatrician could be really helpful for you. To discuss the concerns you have, and for the doctor to help take your worry away and advise where possible. But also don't hesitate to contact me again and we can discuss further (comments below or send me an e-mail).